Pete Owiti is a coffee connoisseur, he learned the trade back in the late 90’s as one of Java House Nairobi’s earliest baristas, became one of the best in Kenya, winning global barista competitions and then went to the US and Canada to do even more coffee training and serving. When I moved back to Kenya in 2009 to get the iHub going, we wanted a coffee bar in the space. I put out a call for proposals, and he was one of three that responded. By that time he had moved on from just serving coffee, to a business where he trained all of the baristas for both Java House and Dormans (the top two coffee houses in Kenya at the time). There was no doubt who was the most qualified to run the iHub coffee bar, he was far and away the winner. Since then, Pete’s Coffee has gone from strength-to-strength, culminating in the Pete’s Cafe on the ground floor of the building that does an amazing amount of business. Still today, you can find Pete doing the hard work, cleaning up, taking orders, making coffee – alongside his wife Christabel (who works harder than anyone else I know). Yes, there are employees now, but he still gets his hands dirty. Read more about him on this profile piece (with video). One of my favorite entrepreneurs in Kenya is also another good friend, she sits on the iHub Advisory Board, and is someone I go to for advice all the time. Rebecca Wanjiku started life in a village on the outskirts of Nairobi, with little to her name beyond a work ethic and drive to succeed. She worked her way into journalism, realized there was a gap in tech journalism in the region, educated herself by reading everything she could on every topic around the internet, and became the go-to tech journalist for many years. She’s flown around the world to cover major internet and tech events to bring an African perspective to the news. Still, today, she writes hard-hitting pieces for different magazines and on her own blog. Becky didn’t make it because of a benefactor, she made it because of her own hard work and drive. 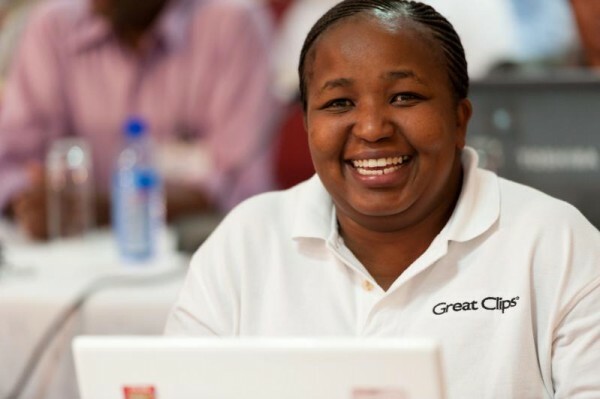 Today she has a networking company that wires up buildings and people’s homes with internet connectivity, Fireside Communications, that has seen great success and continues to hire, and has even built a retail outlet in Westlands. I recently had someone who works with me complain about being given “Kazi ya Mkono” (aka, KYM) jobs (which is a term for “work of the hands” and is often used as a derogatory term for manual labor). I was stunned. Did this person not understand that I still get my hands dirty and build stuff? That I still run errands myself? That nothing gets built if you aren’t also willing to get down to do the hard work yourself? It reminded me of a conversation I had with Becky Wanjiku earlier in the year, where she was complaining about graduates with university degrees and how unemployable they are in Kenya. They come out thinking that they’re “management material” and won’t do hard things. She tried to hire someone straight out of university for a networking job, and he refused to climb a ladder to install a WiMax solution. Simply put, most of Kenya’s university graduates are not hungry enough. I see it when I look at the people we interview for positions at my companies. I see it when I mentor startups, where the CEO wants a business card that says that, and a desk, but won’t leave that desk to get his feet dirty knocking on doors. They don’t know that hustling isn’t just what you say to get work, business or jobs, but doing the actual work too. Some of the best people I’ve had the honor to work with come with no degrees. They’re hungry. They hustle. They make up for their lack of training by educating themselves, watching, learning – but most importantly, trying. They will do whatever it takes to get that job done. This attitude towards Kazi ya Mkono is a cancer in our system. It’s an unearned, entitlement mentality that is disturbing to see in anyone, but especially in 23-year old recent grads. Hard work is something that shouldn’t be looked down upon, whether in a kiosk owner, a road sweeper, a barista or a coder. Yes, try to do it “smarter, not harder”, but still dig in and get your hands in there. Not all jobs are manual. However, all companies are built on hard work. I hope that we’re not losing this thread in our community. Emeka Okafor just pointed me toward this great article, “Kenya’s Over-educated and Unemployable youth“. No one says it better that Mike Rowe of “Dirty Jobs” fame. Besides the video below, read his response to a fan. Erik, I couldn’t have put it across better. It’s a sad situation. I’ve often contemplated this pervasive mindset among young people today, and I’ve come to the conclusion that it’s one of the side effects of our growing tech startup culture. Just a decade ago, everyone knew that in order to make it in life, you had to work really hard and sweat your way to the top of the corporate ladder. Nowadays, people my age think “If Brian Acton can get $19 billion for building Whatsapp, I’ll do that too and make it big!” And thus they look down upon those who wear themselves out at their professions. A first year university student can be openly rude to Bob Collymore at an open dialogue event because he/she thinks they’re only an idea away from getting to where Bob is. Well… everyone will grow old… I just hope it won’t take a lifetime for most of these guys to realise the inescapable consequences of their frivolous and delusional mindsets. Hey Erik, like Huston above, I couldn’t have said it better. This is certainly a big problem with the young graduates being churned out by the Unies today. Nobody wants the hard work part yet they still want the same lifestyle of those who get their hands dirty, especially in tech. The talk back to you, know-it-alls, and sometime downright lazy. Two years after we started our company, its been a challenge getting reliable guys who will do the grind when required to. Out of a staff of 15 we have seen six walk away when the going got tough. We now work with a professional recruiter to help pick the right hungry staff. I’d love to blame it on a Kenya that is growing too fast atm, where everyone wants to eat cake, but sadly this mindset also exists here in Germany. It probably also is a global thing, which is even spured by digital media that suggests that everything can be done like writing emails or sms. The language alone (the one used in digital communication) could be a hint to how work is done these days. Also, in an environment that measures its workload by the amount of unanswered emails in an inbox, what really is “getting things done” and what is delegating responsibilities to others? Great article Erik. I think this highlights an issue for social enterprises too and the difficulty of marrying an non-profit view of the world with a start-up view of the world. The biggest challenge in making the transition from non-profit to start-up is recognising whether that hunger exists. Not impossible but under-acknowledged as an issue. Steve, that’s true. While I was speaking more generally, across all industries, I’d agree that there seems to be a greater penchant for non-hungry people in small/medium non-profits than in small/medium for-profits.